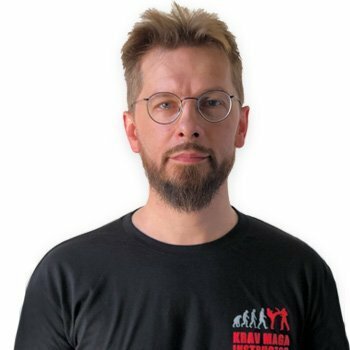 With Krav Maga I have found an absolutely pragmatic system. Just as pragmatic as my own unpleasant experiences with the fact that athletically trained fighting on the street often does not work in chaotic situations. Not least because of that, it gives me pleasure, especially younger, to teach children and young people the principles of this extremely realistic selfdefense system.